The VIX fell 3.26 (12.7%) to end the week at 22.45, the lowest end of the week close for 2008 so far. Last week's move brings the drop in the VIX to 8.71 points or 28% over the past three weeks and brings the index to a level about 8.9% the 10 day SMA and 15.3% below the 20 day SMA. While these may sound like fairly extreme readings, the VWSI has only ticked up from +1 to +3 in the past week (but up from -4 three weeks ago), suggesting a most likely scenario of only a mild increase in volatility over the next week or two. With all the recent attention being given to the VIX and the 200 day SMA (currently at 22.90), I thought I should weigh in by expanding upon some comments I have made previously. Specifically, it is my opinion that technical analysis does not work well with a derivative in which one cannot trade the underlying. Part of my thinking is that there is no such thing as support for the VIX at the 200d SMA (or any moving average) because one cannot trade the VIX directly when it hits a support (or resistance) point. 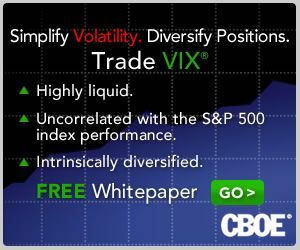 In a more general sense, many TA techniques are on shaky ground with derivatives in which the underlying is not traded, so I am skeptical about the value of technical analysis of the VIX. That being said, if enough people use the VIX as a market timing tool, some of the market's response to important TA VIX signals can filter down to the VIX itself and have somewhat of a reinforcing effect. I suspect that the effect, if any, is quite small. Those who want to eyeball the significance of the 200d SMA are encouraged to look at a chart of the VIX with the 200d SMA going back 5 years or more. The only time that the 200d SMA appears to have served as even minor support or resistance was in July 2006 -- and that looks more like a small coincidence on the long-term chart than solid technical support. For the most part, the 200d SMA has been irrelevant throughout the history of the VIX -- and there is no reason to think that fact should change in the present environment. In a bear market we should expect the VIX moves to be exaggerated to the upside. Although, in my personal viewing, nothing has seemed that outrageous yet...but I certainly wouldn't expect to see the VIX at lows induced during our recent bull market, unless that means we're really not operating within the confines of a bear market. Is there any VIX level that would say -- "confidence is fully restored and it's time to be a bull again?". It is always a question of perception and relativity in comparison to historic norms. During the last bear market from March 24, 2000 until March 11, 2003, the VIX' average value was 26.52 with a standard deviation of 5.68. There were 630 trading days in between, 450 days of them with a VIX closing above the current value as of 22.45, 180 days with a VIX closing below 22.45. So if you think we are in a bear market now, the VIX is currently close to one standard deviation below the last bear market's average value and could be regarded as "oversold". Additionally the VIX front month future (April '08) is trading at 23.96, the VIX May '08 future is trading at 24.95 which means that market participants are looking forward to an increasing VIX 10 days in the future (April expiration) and 6 weeks respectively (May expiration). Last but not least there is currently a huge deviation between the VIX as a forecast for the next 30 calendar day's volatility (22.45%) and the realized volatility during the last 30 calendar days (29.27%). That means there is currently a huge deviation between just experienced and forecasted volatility as of -6.82%. Whenever there was such a huge (negative) deviation between implied (VIX) and realized volatility -especially when the VIX was at a relatively low level and NOT at evelated levels above 30-, the VIX was trading at or above the then current level several trading days later (such a huge negative deviation was always something like a "floor" under the the then current VIX). But if you think we are still in a bull market, during the last bull market from March 12, 2003 until July 19, 2007, the VIX' average value was 14.87 with a standard deviation of 3.61, which means the VIX is still 2 standard deviations above the last bull market's average value and could therefore be regarded as still way "overbought" and very supportive for at least medium term gains in the S&P 500.
psychology'. Congrads to Mr. Luby and his website and all the intelligent postings. It's a pleasure to read & instructive!